These coffins are manufactured in China in a Fair Trade accredited factory. They are hand made from material grown and cropped in government licensed plantations close to the factory. When cut down at the root, bamboo takes just 59 days to grow back to full height without the need for replanting. 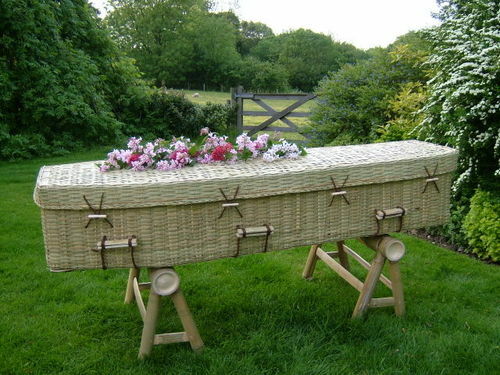 Includes plain cotton liner and plywood base attached for cremation. Visit our Resellers' Page or email us to find a Funeral Service Provider in your area who has one in stock or will order one for you.